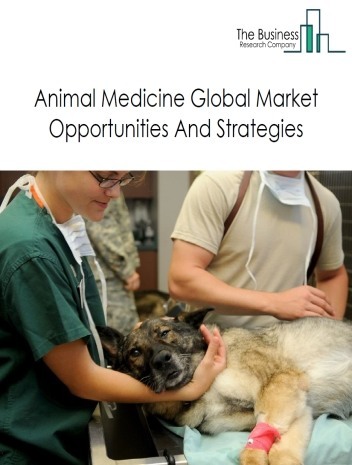 Major players in the global veterinary medical equipment market include Carestream Health, IDEXX Laboratories Inc., Agfa Healthcare, MinXray Inc., Diagnostic Imaging Systems. However, the market for veterinary medical equipment is expected to face certain restraints from several factors such as regulatory challenges and cost involved in setting up infrastructure for this industry. The global veterinary medical equipment market is further segmented based on type and geography. By Type - The veterinary medical equipment market is segmented into veterinary diagnostic equipment, anesthesia equipment, patient monitoring equipment, other veterinary medical equipment among these segments, veterinary diagnostic accounts for the largest share in the global Veterinary Medical Equipment market. 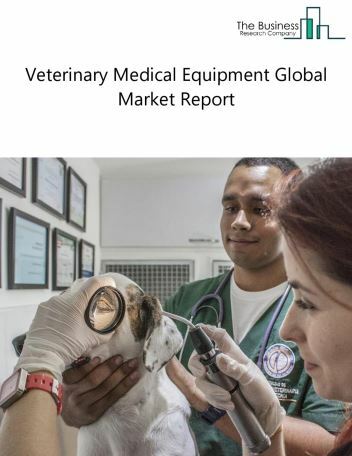 By Geography - The global veterinary medical equipment is segmented into North America, South America, Asia-Pacific, Eastern Europe, Western Europe, Middle East and Africa. Among these regions, North America was the largest region in the global nephrology and urology devices market. Companies in the veterinary medical equipment market have started using 3D Printers due to its better treatment providing capabilities. 3D Printers are devices that use layers of different materials to form a physical object for a given digital model. 3D Printers in veterinary practices enables to create model of the patient bone from patient scan information. Study of the model helps to provide better treatment to vets and prevents infection during surgeries. Potential Opportunities in the Veterinary Medical Equipment Market With increase in Increased Pet Spending, Increased Pet Ownership by Gen X and Y adult and Emerging Markets Growth the scope and potential for the global veterinary medical equipment market is expected to significantly rise in the forecast period.